New Delhi, March 18 : The Congress on Sunday attacked the Modi government saying that the economy was in the hands of "ignorant and incompetent policy makers" who have derailed growth through "reckless and bizarre policies". The party noted that the most colossal failure of the Centre has been its mismanagement of the economy. The resolution on the economic situation in India was moved by former Finance Minister P. Chidambaram during the party's 84th plenary session here. "The economy is in the hands of ignorant and incompetent policy makers who have derailed economic growth through reckless and bizarre policies such as demonetisation and a hasty imposition of a flawed Goods and Services Tax (GST) regime," said the resolution. The Congress said that the tenure of the NDA government led by Prime Minister Narendra Modi was replete with governance and management misadventures and mistakes. 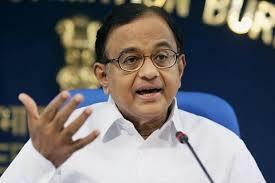 "Robust global economic growth and an absolute majority in the Lok Sabha. Sadly, the government has squandered a golden opportunity." The resolution reiterated that the "abysmal economic management" of the government has resulted in the lack of jobs and stagnant real incomes of farmers. It also said that the Centre's handling of the economy has led to the collapse of the manufacturing sector, destruction of micro, small and medium businesses, paralysis of India's banking sector, a severe dent in business confidence and rising inflation expectations of households. "After four years in office, the Modi government has been severely indicted in its own Annual Economic Survey for 2017-18. "Just when the world's economy has risen steadily from a growth rate of 2.8 per cent in 2014 to a projected growth rate of 3.8 per cent in 2018, the Indian economy has 'de-coupled' itself from the world's economy," the resolution added.